Are you wondering why all of a sudden solar power has become so popular? Well, there are 7 Reasons Why Solar Is Becoming More popular that will make you interested in it. Solar panels have changed the way people live, and have sprouted great organizations such as http://www.solarenergy.org/, and they are are doing more than that as solar panel technology gets perfected. The more efficient solar panels become, the more affordable they become. That alone is more than enough for most people to invest in them. 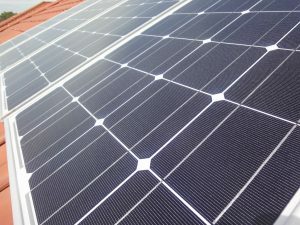 The lower production costs of solar panels mean that for the same amount of money, you will be able to get more power. People tend to invest more when they get a lot more from their investment. Therefore, the low cost of solar panels that has been experienced in the last few years has attracted more people. People see solar energy as an affordable and reliable source of energy. There are little or no maintenance costs once you have installed the solar panels. You will most often not have to service your solar panel until maybe after a year. During that time, the service is usually something to do with dirt or replacing wires. It is never something that is serious or costly to the point of making you feel a pinch in your wallet. Solar panels are a source of renewable and clean energy. They help you to get energy the same way plants get their energy; directly from the sun’s photons. That means you will not buy any fuel to generate electricity the way you do with a thermoelectric generator. Inflated bills will not be something you have to worry about anymore. Most people know what it means to pay high energy bills even when you know that you barely used much power. Solar panels ensure that when you are cooling your home, you are doing it for free. The same sun that will be making your home feel hot is the same sun that will power your home’s cooling system. Solar panels are easy to install. You simply follow the instruction on the manual and take few other safety precautions. If you are not mounting them on the roof of your house, you may not need the experts to do it for you. Homes with solar panels are more valued than those without solar panels. That is because a home that has solar panels installed will have lower energy bills. That is because a home with solar panels can at times be self-sustaining because it does not rely on the mains electricity. Most governments now offer or guarantee unsecured loans to homeowners who opt to install solar panels. That is because most governments have realized the importance of free the burden of powering homes using the national grid alone. It also reduces the impact or fossil fuels on the environment. The installing of solar panels is one of the best decisions any homeowner can make. If your government offers home loan for you to install solar panels, you should take that opportunity and find a reliable supplier to do it for you.